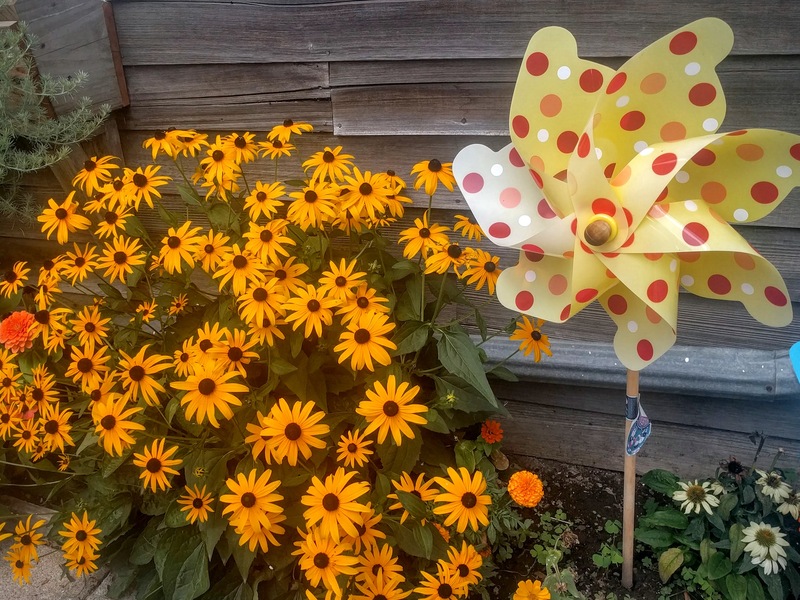 A few weekends ago, Charlie and I and his parents walked around the Amana Colonies’ event Colonies in Bloom. Unfortunately, the event wasn’t very well organized because we weren’t sure which gardens were part of the garden tour and which were normal every day gardens. According to a very nice but chatty lady at the visitor’s center who provided us with a map of the garden tour, some of the businesses didn’t post flags indicating they were part of the tour. One of my favorite quotes: Where flowers bloom, so does hope — Lady Bird Johnson. 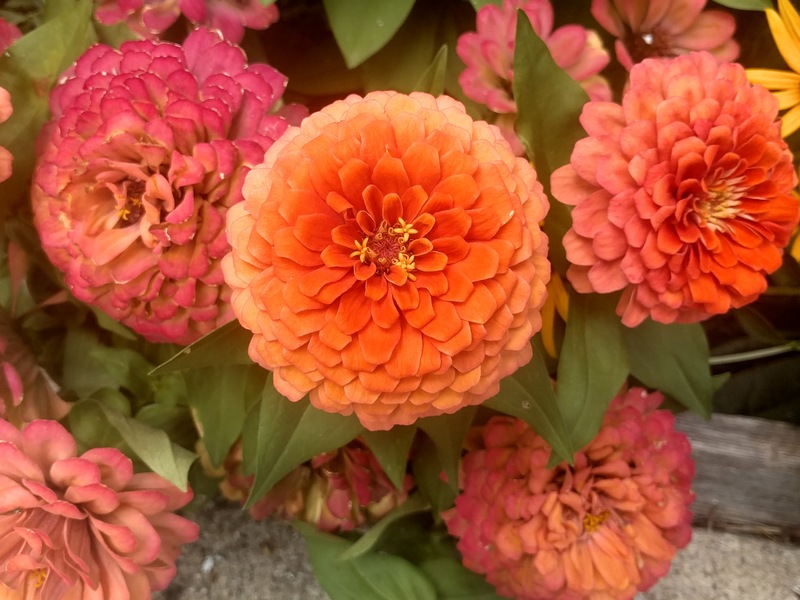 I love looking at flowers, but I don’t want the responsibility of maintaining them. 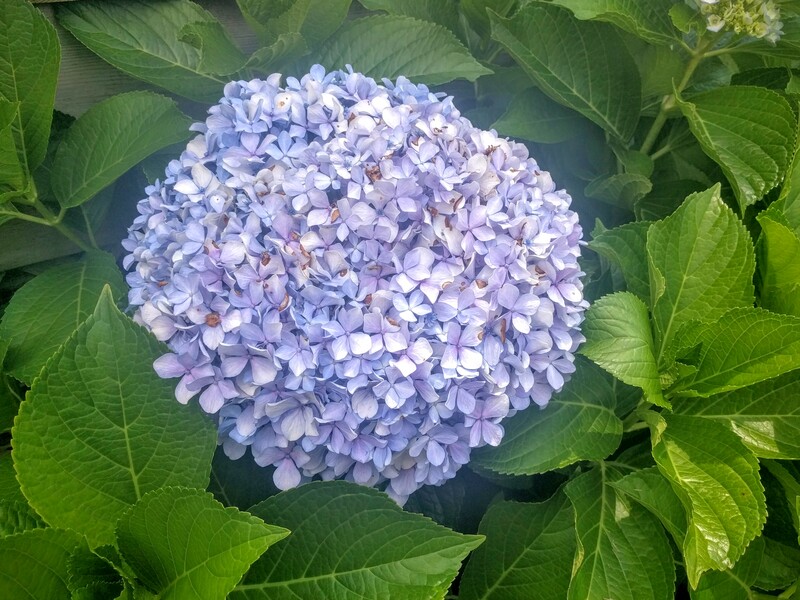 My dad is always planting something in his yard, and I love looking at sorts of flowers that pop up in front of his house or near the mailbox. Hmmmmmm. I should probably snap some pictures of the pretty flowers at his place. 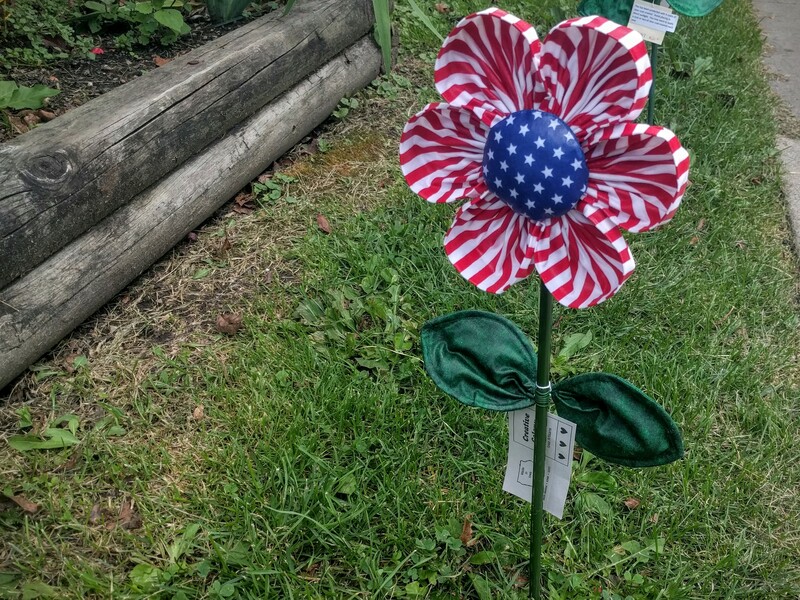 I absolutely love this patriotic fabric flower! If Charlie wasn’t in such a hurry to get out of the humid weather and shining sun, I would’ve inspected the fabric flower a little closer and figured out how the flowers were made. 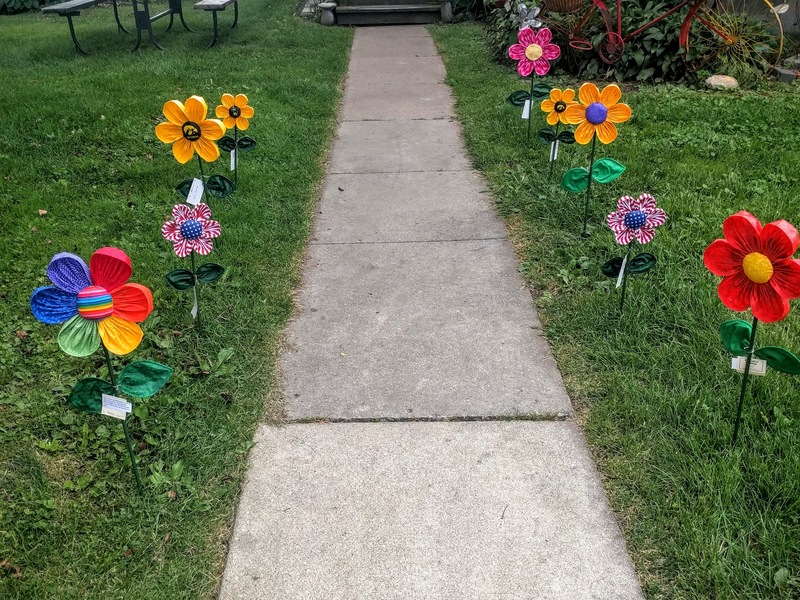 In retrospect, I probably should have bought one of the flowers to support the Amana Colonies. My second favorite fabric flower is probably the rainbow-inspired flower (lower left), but then again, I really like the red flower with the yellow center. *sigh* Now, I’m kind of kicking myself for not splurging and just buying one. The more I look at the pictures the more I’m kicking myself. Argh!